Johanna Koljonen is the second keynote speaker for State of the Larp. She will talk about how larp's potential to make a change is limited by its reach: you can affect people profoundly, but not in massive numbers at the same time. Johanna will discuss design consequences of this fact, as well as media and political strategies to counteract it. Johanna Koljonen (CEO, Participation Design Agency) is a larp theorist, experience designer and broadcaster. 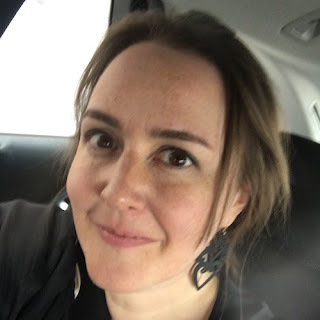 She advises companies, arts institutions and the past two Swedish governments on topics related to culture, education and the participatory shift, and speaks internationally on the near future of the screen industries and on larp design. In 2011 she won the Swedish Grand Journalism award in the Innovator category for the multi platform social impact campaign #prataomdet. 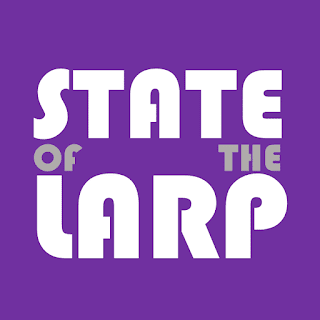 Read more about the conference State of the Larp here. Key note: Larp for liberation or manipulation? Eirik Fatland is the first key note speaker for State of the Larp. He will talk about larp's power to manipulate as well as liberate, and the tricky border between the two. Eirik Fatland is a larpmaker who has been in the inter-Nordic larp conversation since its beginning in 1997. 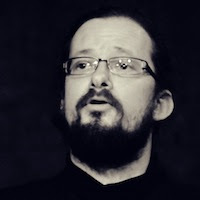 He is known as a designer of dark, ambitious larps with political themes (Europa, Inside:Outside, and PanoptiCorp), strongly narrative and occasionally comedic larps (Moiras Vev, Marcellos Kjeller), and as a theorist and educator of larp design. He is in possession of a Norwegian passport, a Master of Arts degree from the University of Art and Design Helsinki, and a job in financial services. For more info about State of the Larp, please click here. How can we design larps, communities and tools to make changes in society? Larp has the potential to raise critical issues and to promote social change. Larp can profoundly affect the perspectives of participating individuals and create trust and bonds between them. Solid larp communities create readiness and networks enabling them to take opportunities for making social change. How can we develop and use the potential of larp? How can we extend the reach to non-larp environments? We want to gather 62 people who believe in larp as a tool for positive change. For three days, we will stay together in a hotel in Norway to share ideas, experience, questions and understanding - of what we know as well as what we don’t yet know - within larp design, community building and larp as a medium for expression. State of the Larp brings together people who wish to be active in building the future of their communities, who want to design experiences that ultimately contribute to a positive change or who want to join us in discussing how larp can be a tool for strengthening NGOs and civil society. Together we will work towards the goal of sharing and creating design practices that, in one way or another, make our worlds better. The seminar is designed as a space to share experiences, questions and methods. All participants will bring something - a thought, a question or a solution - to the seminar. In addition, there will be facilitated discussions as well as input from leading experts in the international larp community. Method test (20-60 mins) - Bring a method you would like to try out. It can be anything from a warm-up exercise to a method for using lights to a complete larp. Story (10-20 mins) - Tell us about something you did. A player experience, an organizer experience, how you used larp in an unusual context, a meeting with someone - anything somehow related to the topic of larp and community building. Question (30-60 mins) - Raise a question you want people to discuss on this seminar. Bring some opening remarks around a question and then facilitate the conversation in a group. Presentation (10-20 mins) - Tell us about a specific subject that you would like to share on this seminar. Method teaching (30-60 mins) - Teach a specific skill. It can be anything from how to introduce larp to non-larpers to a relevant workshop technique. I am not sure if I can contribute? Yes you can. As long as you have an interest in larp, a passion for building community and a curiosity about new design practices. We will also offer mentoring for those who wish. You can also team up with others to make a program item. It is a priority for us to have many participants under the age of 26 for this event, but we also look for diversity and a varied group of participants. In order to achieve this, we would like applications from people with a wide range of backgrounds, ages and larp experience. The spots will not be allocated based on merit or qualifications, but based on how we can make a group with the composition we want. If you think this event sounds interesting, please apply! The programme and the discussions will be held in English. The deadline for applying is 23:59 on Friday October 19. By October 23 we will let you know if you have gotten a spot to participate. There is no cost to take part (hotel and food is also paid for), but you will have to send us a travel confirmation to confirm your participation. The event takes place at Mastemyr Hotel outside Oslo on Dec 13 to Dec 16 2018. 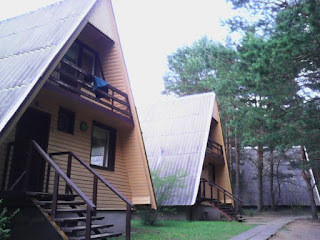 Accomodation in shared rooms, but single room is possible (NOK 550 payable, this cost can be vaiwered if single room is needed for medical reasons). People facing economic difficulties can apply for a travel grant by sending an email to larpschool@gmail.com. Include a suggested travel route. "Larpwriter Summer School is a week long intensive course on larp design. 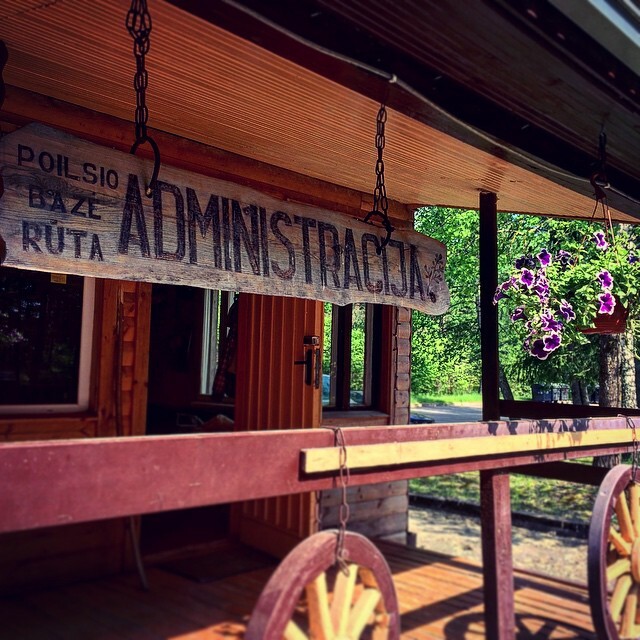 Organized annually since 2012 in Lithuania, the curriculum is packed with lectures on design and theory, design exercises, educational games, and playing larps. The summer school is attended each year by around fifty students from around the world who have very little or no experience in larp design, with a crew of twenty people teaching and running the practicalities. The summer school has taught a new generation of designers, developed design theory and tools, and built an international network of alumni – who are all invited back each year. The alumni have gone on to create not only larps, but numerous larp festivals to showcase their works." We are very excited about the nomination and humble to receive such acknowledgement. We are so thankful to all the contributers who have made the past five Larpwriter Summer Schools possible and to the alumni who partake in the international network. The winner will be announced at the Diana Jones Award Party in Indianapolis on Wednesday 3rd of August. One of the organizers, Alexandra Franskevich, will be present. You can read more about the Diana Jones Award here. The Larpwriter Summer School was arranged for the 5th time this summer. It was the biggest school ever 52 participants from 17 different countries. The participants had a wide range of different backgrounds and professions. Probably this will lead to even more widespread use and knowledge about larp as a tool, and we are so excited to see the outcome. Counting alumni, speakers and faciliators we were about 120 people at Ruta this year. The community continues to grow! A big thank you to everyone who contributed to making it possible. We will see you soon at Ruta. We have now published a playlist of filmed sessions related to the Mixing Desk of Larp. You can find them at the Mixing Desk page. The other filmed sessions (talks) will be published over time in this Youtube playlist. We have also published all slides from the program items on a separate Google Drive account.